Looking for a Mobile App Development Partner for your business? Follow the following guidelines and work with the best partner. Mobile use has been on the rise. In realization of this, most businesses have embraced the use of enterprise apps to attract more clients. Are you a business person looking for Mobile App Development Company in India? Well, before you make that crucial decision of settling for a given Website Development Company, do thorough research and make a list of eligible candidates for the job. Then, use the following criteria to select the best out of the shortlisted service providers. The most effective way to ascertain that a given website development company is the right one for your project is to check out their portfolio. Have they carried out similar projects like yours and how successful were they? Do they have ready apps that you can easily download? Be keen to check the ratings and reviews of their apps as well. Choose App Development Company that has well-set apps and authentic portfolio like Website Developers India. 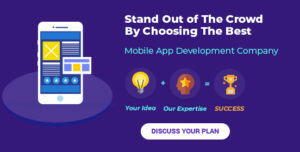 When you embark on this journey of selecting the best app development partner, choose the one who has vast previous experience and expertise in the kind of app you need to develop. Also, refer to their previous clients and make sure they are eligible for the job. For any business deal to workout smoothly, effective communication is critical. If you decide to outsource app development services, ensure you choose an app development partner who can interpret your instructions, ideas and thoughts effectively. As far as pricing is concerned, don’t rush to the cheapest of all. It is prudent to consider the quality of service over cost. Actually be flexible to go out of your set budget if you want a great app. 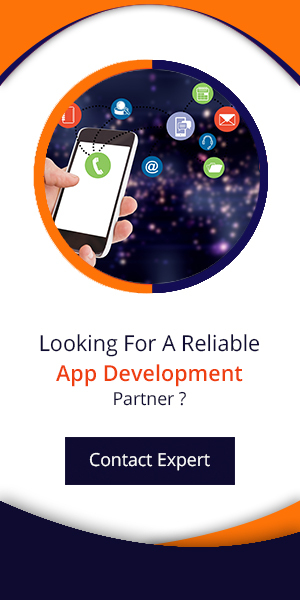 Choose the app development partner based on the quality of their previous projects and skills. The timeline is very crucial while outsourcing for an app development project. Be keen to inquire about the estimated turnaround time for your project. I am sure you don’t want to be frustrated the very last minutes. It is therefore important to check with the website development company that all resources necessary for the execution of your project are available. Since your app will need some maintenance from time to time after being launched, go for that mobile app development company with clear app maintenance policy. Let them clearly explain how they will charge you; whether on an hourly or monthly basis. The kind of procedure the mobile app development company uses is a good pointer towards their efficiency and proficiency. It is advisable to choose the company that follows an agile methodology. This procedure allows you to see all that is happening in each phase of your app development cycle. Willingness to sign non-disclosure pact. If you have some innovative ideas you need to safeguard but have to disclose to the app development partner, go with the service provider who is willing to sign the non-disclosure pact first. This way, you will feel at ease knowing that the authenticity and exclusivity of your ideas and app are guaranteed. A 100% willingness to surrender the code ownership. When selecting the app development partner to go with, choose the company that is willing to give you complete ownership to the source code after the project is complete. Make it very clear right from the beginning what you need from them. Willingness to guide you through the submission process and release. A good app development partner is the one who is willing to guide you through the app store submission process and app release. Choosing the perfect mobile app development company in India doesn’t need to be overwhelming anymore. Follow the above criteria and you will surely get the perfect match for your project.